Her friend had a house in Hua Hin and suggested Wendy take some time out there, finish writing her novel that had long been sidelined and work out her next steps. 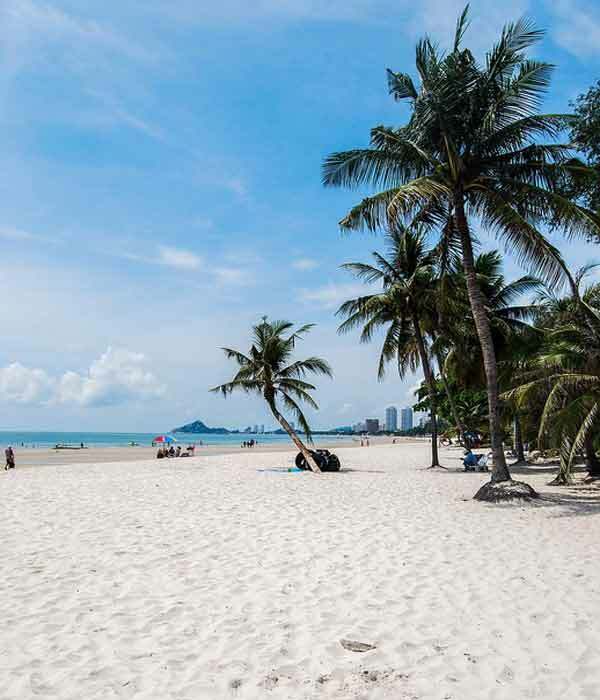 With a decision made, she settled her business affairs and moved to the seaside resort of Hua Hin, on the Gulf of Thailand. In theory, a slower pace of life, walks on the beach and afternoons spent writing sounded good…but Wendy found it didn’t suit her energetic nature. She needed more stimulation. So, when a friend told her that a lot of expats teach English in Thailand, Wendy decided to give it a go. Her first role was teaching Year 5 students at a local school—an environment she had never worked in before. After a year, Wendy began working for a college where she taught English on various contracts, some up to six months long, to staff in hotels, resorts, golf clubs and even water parks around Hua Hin. “I could still do my writing as work often didn’t start until 10 a.m. and finished at 4 p.m. The role had a lot of flexibility and kept me active,” says Wendy. These days, she has much better work-life balance. Mornings start with a private, one-hour Muay Thai lesson on the beach, for which she pays $13, before heading off to work. And the finish time of 5.30 p.m. is the finish time. Her 16-hour days are a thing of the past, leaving Wendy time to play badminton, squash, run a monthly pub quiz popular with local expats, catch up with friends and work on writing projects. Wendy’s home is less than 500 metres from the beach, but, as it’s one street back, her rental costs are considerably lower than on the beachfront. She pays $320 a month for her two-bedroom, two-bathroom, furnished townhouse. Her nearest shopping centre, with its own gourmet supermarket, is a five-minute walk. She is often spotted on her electric tricycle—her workmates have dubbed it her ‘rickshaw’—which costs her less than $10 a year to run. Wendy finds it easy to live on her income from teaching English. Food and entertainment are about $400 a month and electricity around $60 and the low cost of living means she is saving money as well. The salary for full-time teachers in schools is about $1,315 to $1,645 a month. However, teachers in private schools and businesses often attract higher salaries. According to Wendy, it’s plenty for a comfortable life in Thailand.